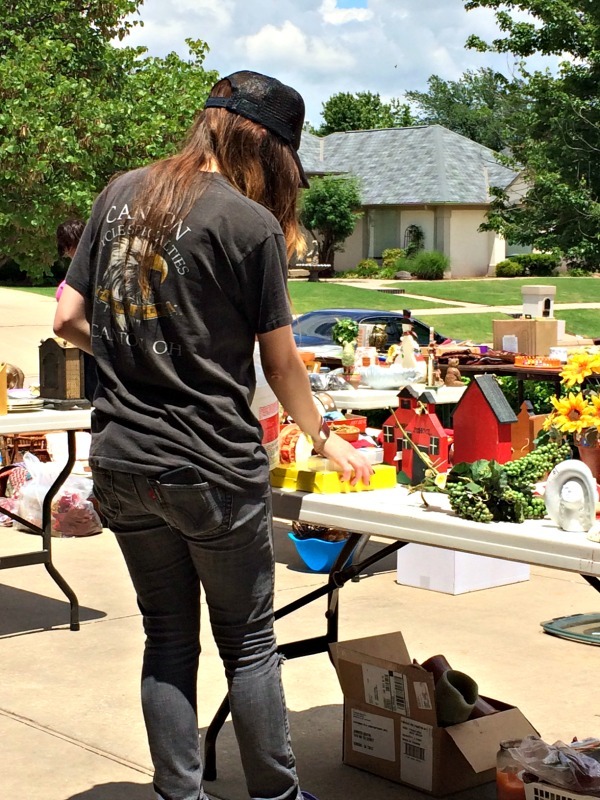 Since I was a little girl, my family has held fairly regular garage sales. My sister and I used to fight over who got to take the money when we were little (now I hate that part! ), and I can still see in my head the precise tally columns my Dad would draw up to record everyone's earnings and keep them separate so we could see how much money we made. My Mom would cover all of the tables with a tablecloth before we loaded them up with merchandise (I don't go that far...) so things would look nice. 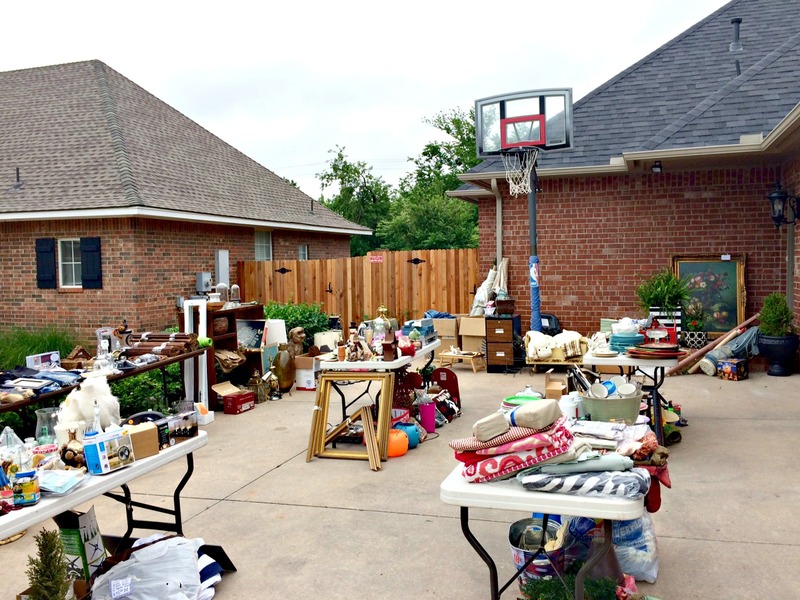 Even now, we still hold a garage sale about every other year- and I'm a regular garage sale shopper- so I consider myself a pro at how to run one! 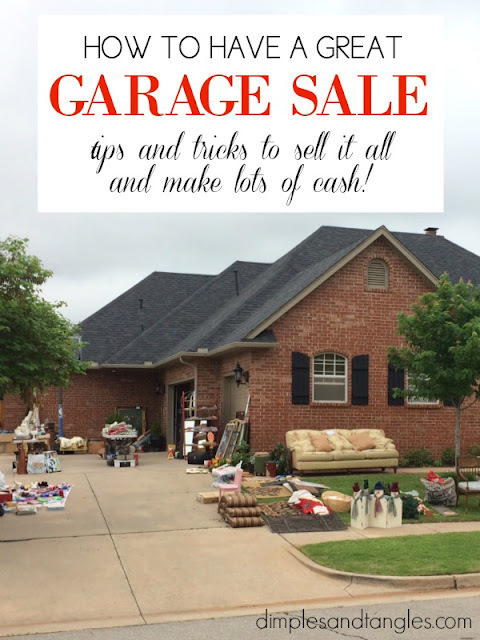 Here are my best tips for how to have a successful garage sale so that you can put a little extra change in your pocket (or fund a vacation, redecorate a room, or cover an unexpected expense if you're really serious!) while getting rid of things that you no longer want or need. When choosing a date to hold your sale, check the calendar to make sure there aren't other big events going on that might interfere with your traffic. You're off on Memorial Day weekend and want to have a sale? Great, but so is everyone else and they're likely headed out of town. Make sure there are no big games that weekend that people will be out all day on Saturday for. Also, think about when people get paid. There are a lot more people out and ready to shop the first weekend of the month after payday (and maybe the 15th, too). Lastly, I'm torn on neighborhood sales. Depending on where you live, they can bring a great amount of traffic. 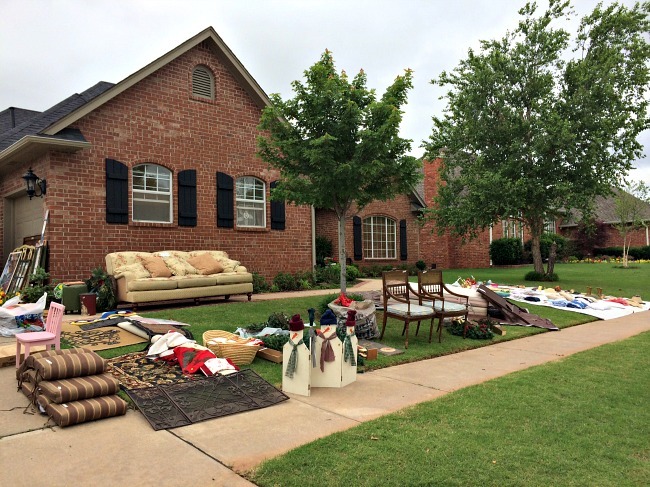 However, the one time that I participated in a neighborhood sale, it was the worst garage sale we've ever had. 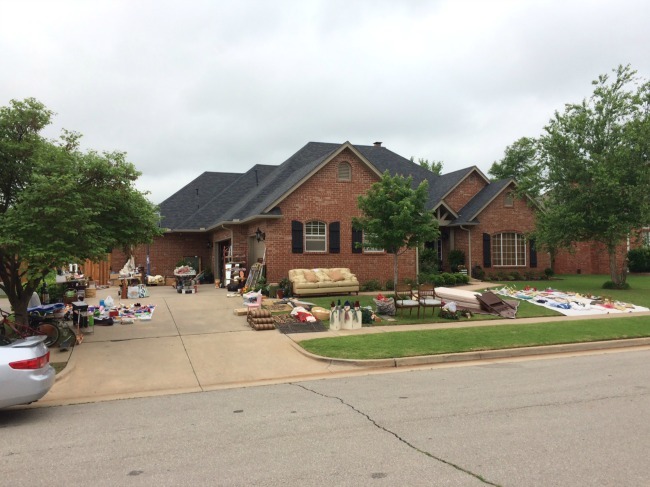 I'm not sure if there was too much competition and people were waiting to see if there was something better at the next sale, or if we were too far back in the neighborhood, or what, but we've always had the best success when we hold our sale on our own terms. We live in a busy area, so I don't need to do as much advertising as someone is a lower populated area, but these tips still apply to everyone. I have never put an ad in the newspaper for a sale. We put out signs and use Craigslist. I think about some key intersections around our neighborhood, and make enough signs to blanket those areas. I certainly make them for the nearest mile intersections around our home, and usually make a few extra for other intersections another mile or so out, and a sign for each entrance to the neighborhood, so usually that means I have 6-8 signs. When we're ready for the sale to start, my husband goes out to put up the signs. I LOVE doing it this way because a) no one knows about the sale until we're ready to open, so b) we don't have early birds knocking on our door super early or digging through things and asking questions while we're trying to get set up. Signs are definitely our main form of advertising, but for our last few sales I also put an ad on Craigslist. I snap a few wide shots of the sale on my phone, then take a few minutes to put up the ad just after we've opened. Again, I don't post it until we're up and running so that we don't have people there before we're ready. You will probably want to include a closing time if you post an ad online. 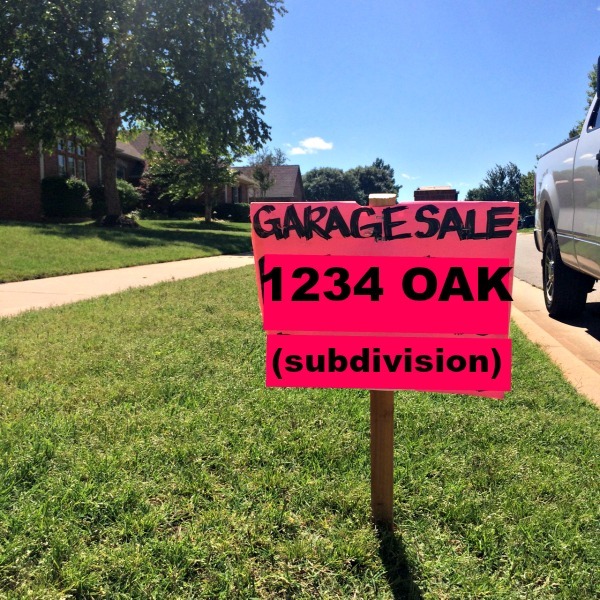 For garage sale shoppers, there is NOTHING more annoying than puny signs with a tiny address written on it! Seriously, I can't tell you how many times I spot a sign while driving, turn on the street where the sign is and try to read it as I'm driving by, and the address is written about one inch big with a ball point pen. Then, I might just wing it and try to find the right house while cruising the neighborhood, and there is never one more indication of which way to go. I can't tell you how many sales I've given up on like this and left to find another one. I want my signs to be big and bold and clear, and frequent once a shopper turns inside the neighborhood, easily directing them straight to my door. Here's a sample of our signs. I generally like to use a bright colored poster board, and a BIG marker, and make the letters and numbers even bigger. Most of my signs are on hot pink posterboard with thick, black marker. Obviously I changed our address and wrote the name of our neighborhood at the bottom, but you get the idea! I don't even bother writing out "GARAGE SALE" sometimes, I might just write "G SALE"... the ADDRESS is most important thing to make big and clear. 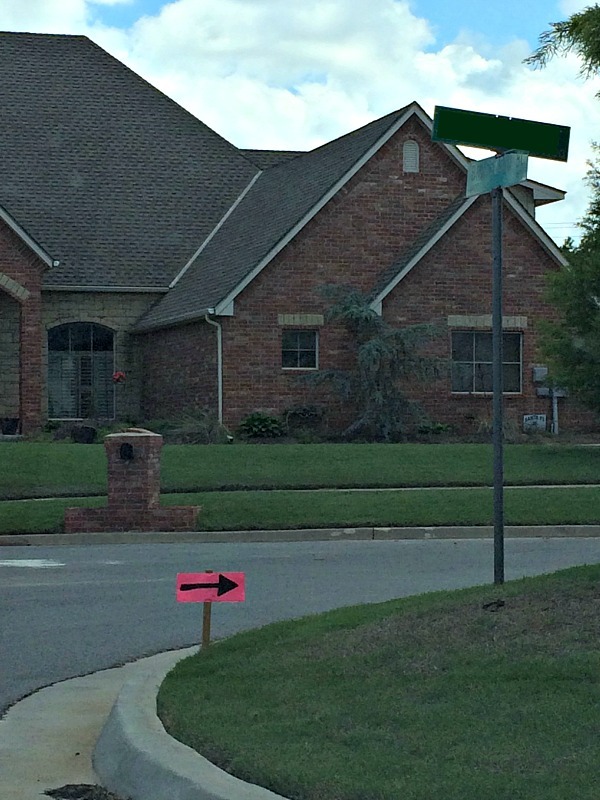 People who are out looking for yard sales will know what your sign is. Also, don't bog down your sign with items at your sale (Furniture! Baby clothes! Toys!) or a long list of times. Keep it short and simple. We put our signs out and take them up every day at the opening and closing of the sale. If the signs are out, we're open. If time allows and your sale is on a weekday, try to stay open through the evening rush hour. You'd be amazed at how many people will stop at your sale on their way home! 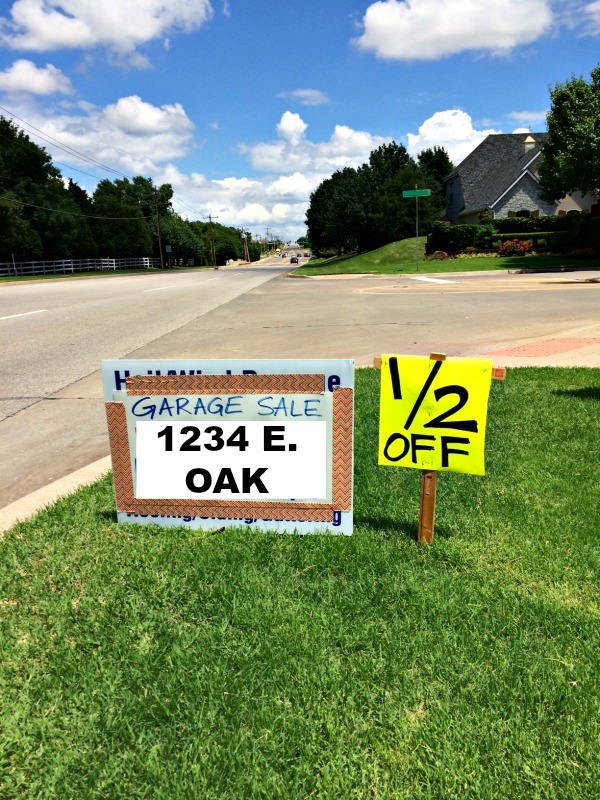 If you live deep in a neighborhood, be sure to put up some directional signs through the neighborhood to point shoppers exactly to your sale. One more thing to consider with signs... make them sturdy! We're in Oklahoma and the wind can wreak havoc on a wimpy sign. We usually use a wooden stake, then another wooden cross piece at the top (a 5 gallon paint stick works great). 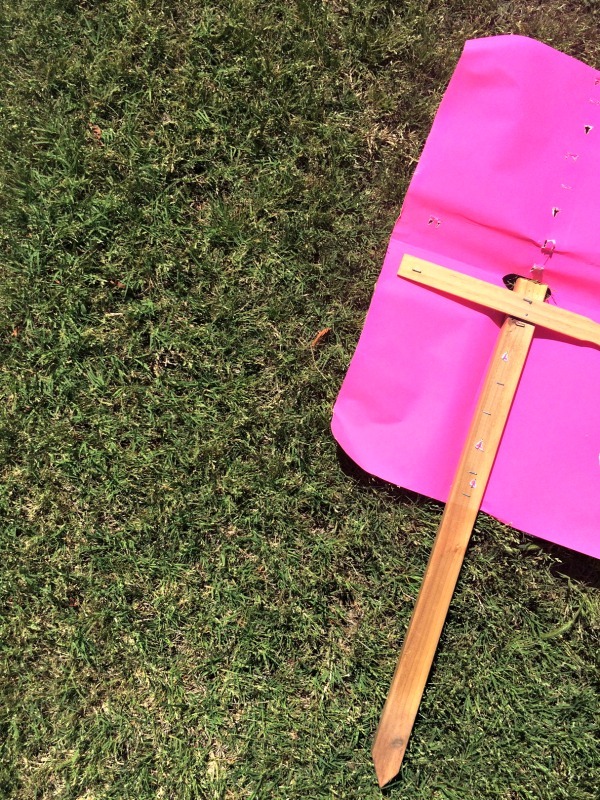 I fold my poster board in half and cut a small piece out of the middle top fold to slip over the top of the stake, then use the staple gun to attach the poster board well to the stake and along the cross piece. We usually have good luck with our signs holding up well, and most of the time I can even throw them in the attic and re-use them for another sale. Lastly, you might send someone to check once or twice through the day to go out and make sure your signs are still out and visible. One time we noticed a huge dip in traffic, and after going out to check signs a few of them were missing. No wonder! 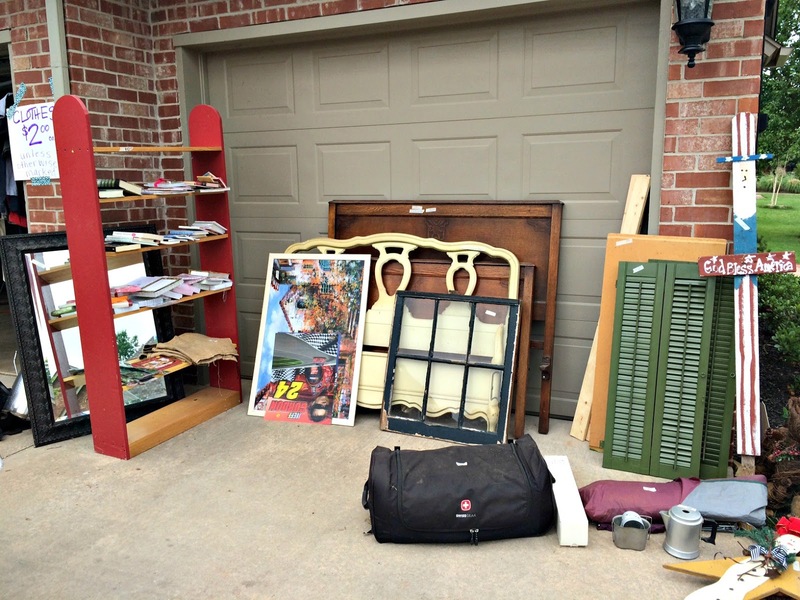 Other than poor signs, my other pet peeve as a garage sale shopper myself is when nothing is priced! I hate having to ask about every little thing I'm interested in, and if the sale is busy whoever is running it cannot be giving prices and checking people out all at the same time. I price EVERY item in my sale. Now, there are a few general prices that I'll post, like "Adult Clothes-$2 each unless otherwise marked" or a box of like items ".25 each" but I try not to do too many of those. It makes it easier on the shoppers, and easier on the person who is adding up the merchandise if each price is on the item right in front of them. First of all, make sure that you have space to display your merchandise. Canvas neighbors for tables and/or a clothes rack to borrow if you need them. We often use a sheet of plywood and sawhorses for a makeshift table when needed, or I've even grouped tv trays together to have a space to set things. If you have a lot of children's toys, considering anchoring a tarp on the lawn and spreading the toys out over the tarp. And, if you have a lot of clothes to see, try your hardest to hang them up on something, they will sell so much better than piling them all in a box or in piles on a table that will be a disaster 30 minutes after the sale starts. My Dad rigs up a galvanized rod with simple wire hangers on each end of the pole that we hang from the garage door track- it makes a great clothes rack! Try to group like items together as well. Put all of the artwork together, linens, lamps, kitchen items, picture frames, books, etc. If your sale is well organized people will hang around and look longer. Try to have EVERYTHING out on display. There are always die hard shoppers that will dig through every box, but there are even more people that cruise through for a quick look and won't touch a box full of items. You've lost sales if they can't see all of your merchandise! Also, if someone else is helping you run the sale, one of you should walk around periodically and straighten the merchandise. You want your items to look just as appealing later in the day as they did when the sale started that morning, and it's easier to see what's there if the tables aren't a mess. Provide a designated check out area, and a hold area for items that people want but who are still shopping (near you at the check out if possible so you can keep an eye on it and no one pilfers someone else's pile...I've seen it happen!). 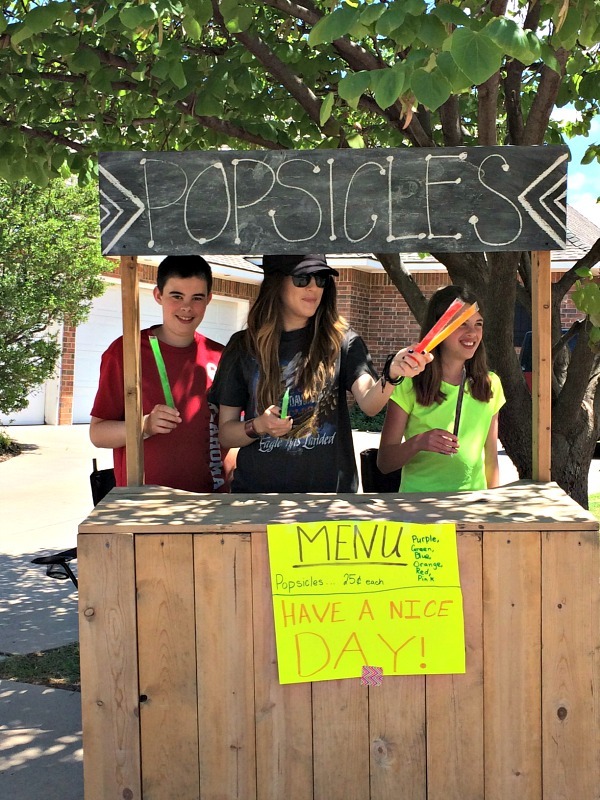 Obviously kids can clean out their toys and earn a bit of money, but a "concession stand" is a great way for them to earn some extra cash, too! Bags of popcorn, popsicles, fruit snacks, peanut butter cracker packs, and cold bottled water or pop are some ideas for good things to have on hand. I make my kids repay me for the cost of what they sell, but after that the profit is all theirs. Food and drink items can really pay off with hungry, thirsty shoppers around! *Start early. Dedicated yard sale shoppers are out early and if you're not open when they're driving by your neighborhood, you've missed a good deal of traffic. We usually aim for 8 a.m.
*Be sure to check to see if a garage sale permit is required in your area. In my town, I'm able to call the city the day before (or even the morning of if it's a weekday) and get my permit over the phone. They add the fee to my water bill and give me my permit number to post right then and there. Easy. *Have a small amount of change to get started. Early in the day you'll probably get a lot of big bills, so have plenty of 5s and 1s to make change. You'll get more of those smaller bills as the day goes along, but I usually try to start out with around 20 ones, 4-6 fives and tens, and just a few twenties. It never fails that someone early in the day will want to pay with a $100 bill. You'll need a few dollars worth of quarters and other small change, too. I always write down how much change I start with, then I know at the end of the day how much we've made after I subtract that amount. *If there are multiple family members or friends contributing to your sale, they will need to add their initials to their price tags on their items so you can keep track of their money. In an instance like this, I usually don't label or keep track of my items that sell, but I do have a note pad to write down the amounts of items that sell that belong to someone else (my kids are always very interested in their tally columns!). After I've tallied and paid everyone else at the end of the day, whatever is left is my profit. *If someone makes an offer on a larger piece and you're not wanting to meet that offer yet, take their phone number so you can call them later if the piece doesn't sell for the price you want. Be sure to write down the item they're interested in beside it, I know from experience in the midst of the hustle it's easy to forget those details! Also, if someone pays for a larger item and wants to come back later to pick it up, get their phone number. We've had this happen in the past and the buyer never came back, and I had no way to contact them. *Be careful with your money. Wearing a pocket apron for the money is a good idea. Never walk off to help someone and leave your money box sitting at your checkout table! It's awful that we even have to be aware of things like this, but just be conscious and smart. Several times through the day we will remove most of the bigger bills from the change box, leaving just a bare minimum to make change. *Recruit a family member or friend to help the day of the sale. You'll need help, it's safer, and it's nice to be able to rotate for breaks and meal times. *It's helpful for your customers if you have a stash of bags to carry out their merchandise after they've paid. Start saving up those plastic shopping bags or extra boxes that might accumulate. Alright, hopefully you're all set to have a stellar sale! Let me know if there's anything I've forgotten, or if you have a great tip I didn't cover. P.S. The pics from this post were from my last sale about three years ago, but I'm preparing for another garage sale sometime in the coming months, I'm just not sure when it will be yet. If you're local to OKC and are interested in coming, shoot me an email at dimplesandtangles(at)att.net and I'll let you know when we have a date! Great tips! I was nodding my head the whole time. What's with early birds anyway?? We've had people show up at 6 am while we were just starting to bring out the boxes of stuff, try to haggle for a ridiculous deal first thing and then attempt to pay with a $100 bill. I'd say the number one thing that bothers me is the 'dealer' who shows up about three hours into the sale and "offers to buy everything" for some low ball number (these are the people who either sell your stuff at their sale - or auction at the local auction house) - I totally tell them to buzz off - because they will NEVER give you what your stuff is worth. At least - that's how it is in Alabama. YES to all of this!!! And yes to Kristen, people who want 70% off the second you open the sale drive.me.nuts. It's rude. I've had a ton of yard sales but still learned a lot of your article. Thanks for sharing! Wonderful tips -- especially the one about not posting the sale till you are set up and ready! Years ago when everyone did it in the newspaper classifieds, you could run your ad for three days prior and the day of the sale. Terrible idea! I once got home with groceries about two days before, and some creepy old guy was peering in my garage door windows and wanted to know if he could come in and take a look!!! I said NO WAY, and he left in a huff. I guess I was just lucky he left without causing me bodily harm! The other awful things were (a) early birds trying to pick through stuff while you are still setting up and (b) that dope who gives you a $100 bill for a $1 purchase at 7 a.m. The scariest thing that ever happened was at our last house where the driveway went downhill to the garage which was in the basement. The level place outside the doors where the sale was could not be seen from the street. A large group of men who could not speak English (who totally seemed up to no good), showed up and hung around till there was no one else present. Then they became rather menacing, circling us and giving us dirty looks. I very pointedly took the money box inside and locked it up. When I came back out, I let "accidentally" let them see a small pistol I had tucked into my waistband when I took the money inside! (I probably had a cell phone, but this was over 10 years ago.) I agree with the Anonymous commenter above. I, too, live in Alabama (Bham), and I have also had low ball offers like that. I haven't actually had another sale at my house since that incident, but I really could stand a major cleaning out. I might actually try again using your idea of no advance notice! I want to come to YOUR garage sale! I'm sure it's the best stuff! yo these are brilliant tips and i am so jealous i wish i coulda shopped but i dont live near you haha!